The Chemex is a glass container, manual pour over style coffeemaker invented by Peter J. Schlumbohm, Ph.D., in 1941. It has been heralded as one of the best designed products in modern times and is on display in the Museum of Modern Art in New York City, the Smithsonian, the Philadelphia Museum and the Corning Museum. The result of this design is a coffee akin to drip coffee, but since it is prepared manually with much more care than a drip coffee machine, it can make a much cleaner cup with flavors you have never experienced out of a drip machine. 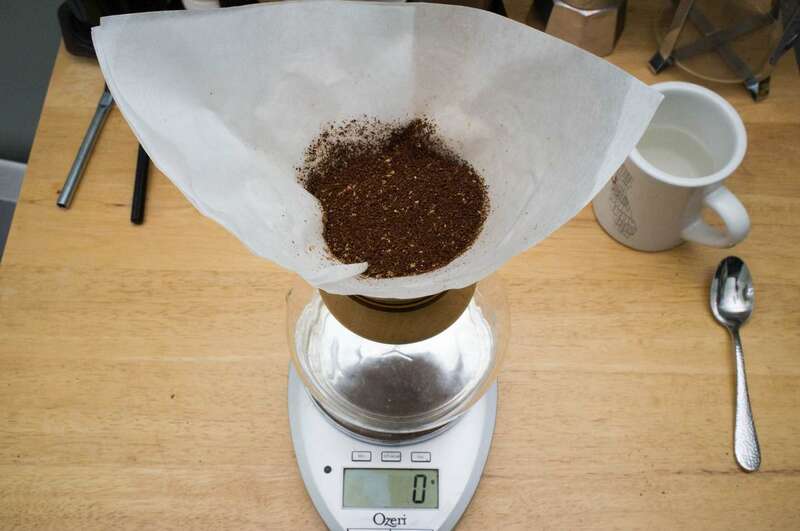 The chemex filters used are also responsible for some of these characteristics because it is a thicker filter than most. 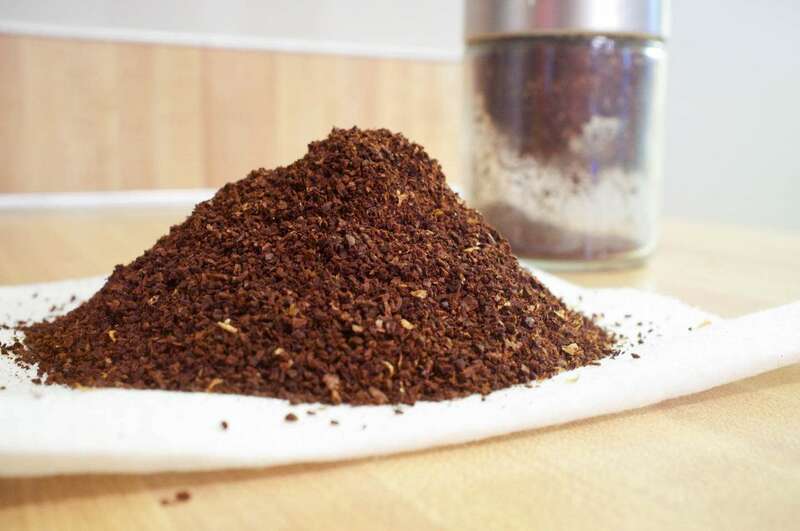 This leads to filtering out many of the oils present in much of the coffee you're used to. 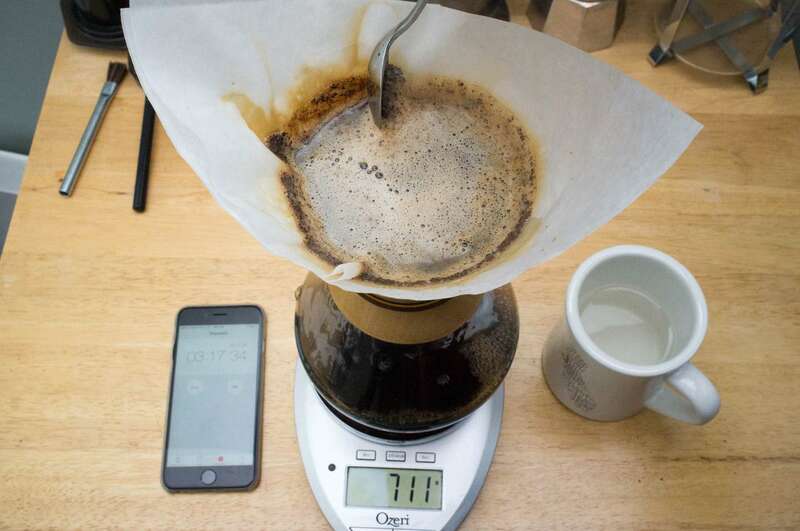 If you've got your Chemex and you're ready to go, lets get started! Measure out about 1000g of water. Since 1g = 1ml, you can also use 1000ml or 1L. Grind about 45g of fresh coffee. The grind you're shooting for is just finer than a french press grind. 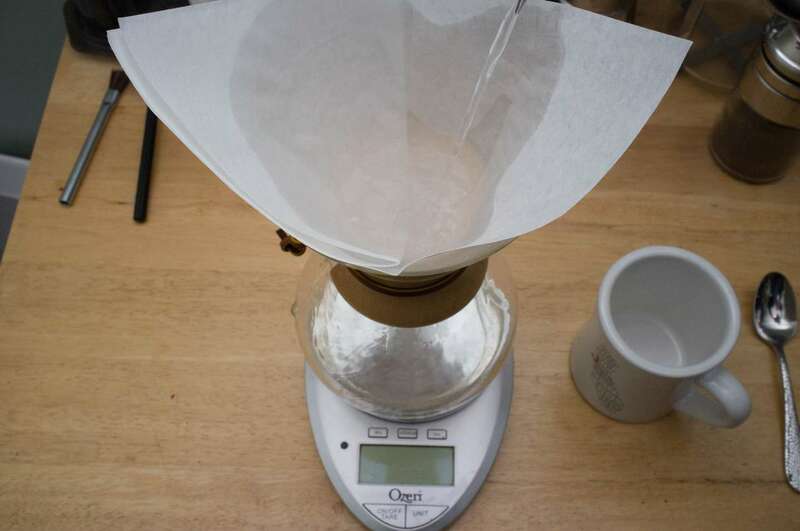 Unfold the chemex filter and place the side with 3 layers on the spout of the Chemex. This allows air to escape during the brewing process. Rinse the filter with a good amount of water. Folding the filter over and holding it in place, empty the Chemex. I usually pour this into my coffee mug to preheat it a bit. Shake the Chemex a bit to settle the grounds flat. 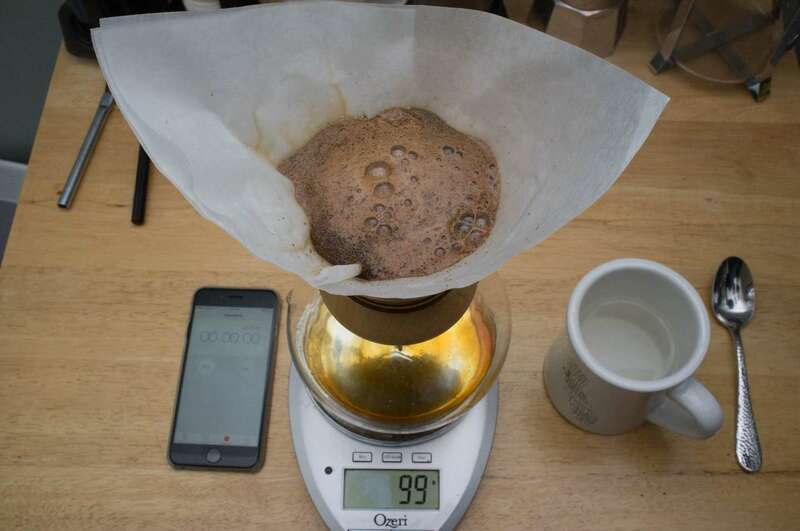 Make sure to zero out your scale for the first pour. Pour about 100g of water evenly over the grounds and start your timer. Optional: some people like to stir gently at this point to ensure all of the grounds are saturated. I like to think I can pour evenly enough that this is not necessary. This is called "the bloom". This allows gases created during the roasting process to escape from your coffee. If we did not allow the gases to escape, the hot water poured during the next step would not be allowed to extract the coffee evenly. 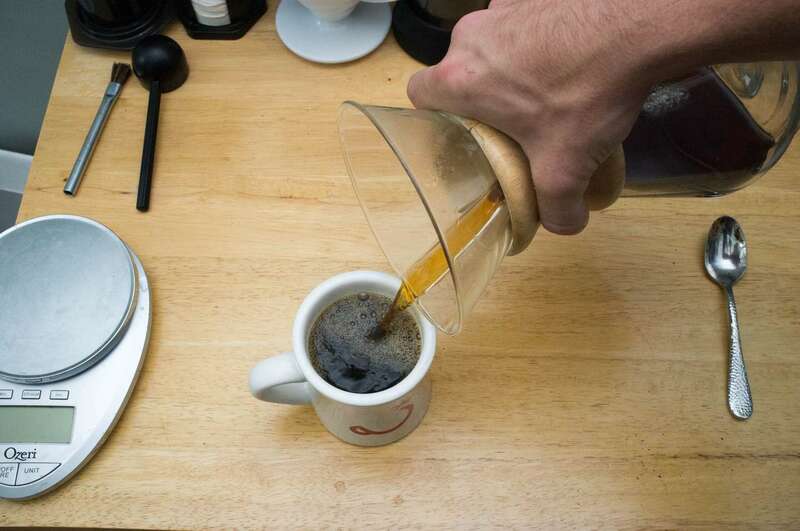 45 seconds after you finished your first pour, begin the second pour. Slowly pour 300g of water in concentric circles, avoiding the edges of the filter. 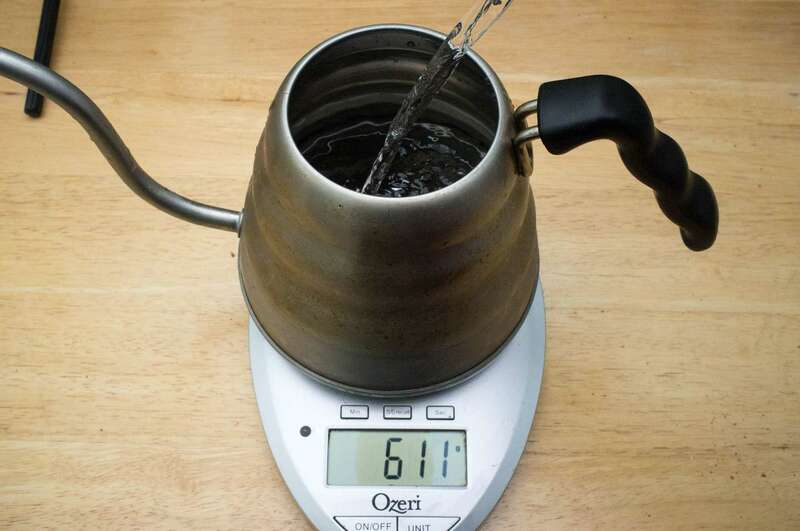 Your total weight after this pour will be 400g. At roughly 2:30 (or when most of the water is gone from the grounds), begin pouring the final 300g of water. 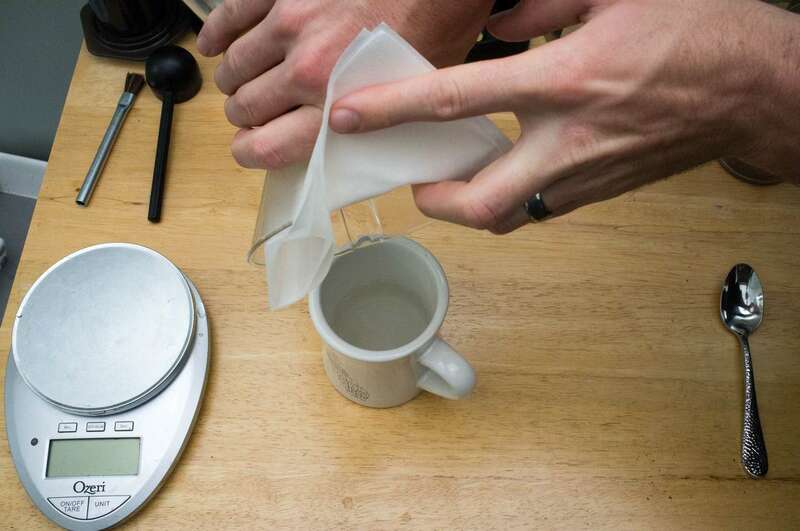 Use the same method as the second pour but make sure you don't pour higher than the previous maximum height already established by the second pour. Your final weight at the end of this will be 700g. Optional: Some people like to gently scrape the coffee at the edges of the filter right after they finish pouring. I do this sometimes if I feel like it but I don't believe it makes a tangible difference. Swirl the coffee in the Chemex and serve it!